Always phone our call centre if you get into difficulties on your travels. 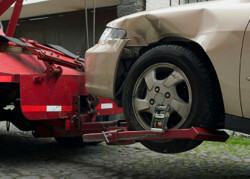 We can help you if your vehicle is not working due to a breakdown or an accident. We will send our mechanic to you in case of a breakdown that, according to us, can be fixed immediatly without taking your vehicle into a car service. When elemental breakdowns occur we will call a credible towing service that will take your broken down vehicle to a garage of your choice. If you are within Slovak borders we can usually help you within 30 minutes from your first phonecall. Further help includes providing rental car to the point of the breakdown/accident, organizing of alternative accomodation or alternative transfer. We will help you to organize the amendment of your vehicle in an authorized garage and also help you to deal with the insurance company. Ask for assistance services offer..